Vampire Vodka Soda, a tasty treat for any vampire or human. Picture: Erin Chapman. The other week, I went to a local craft store, Michael’s, in search of vampire Halloween goodies that I could use to make some tasty vampire treats. Amongst the shelves packed with Halloween decorations, I came across a mold in the shape of vampire fangs. The mold inspired me to make a fangtastic holiday cocktail and as a bonus, I picked up the special glass for a discounted CAD$1.99. Improvising. 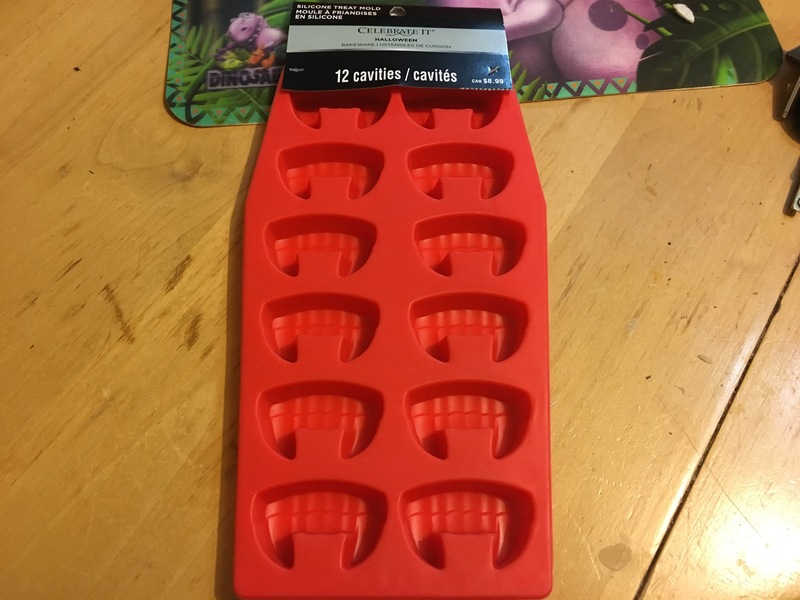 I intended to use the mold I purchased for making cookies, candy or chocolate, but my first thought when I saw it was vampire fang shaped ice-cubes. Picture: Erin Chapman. 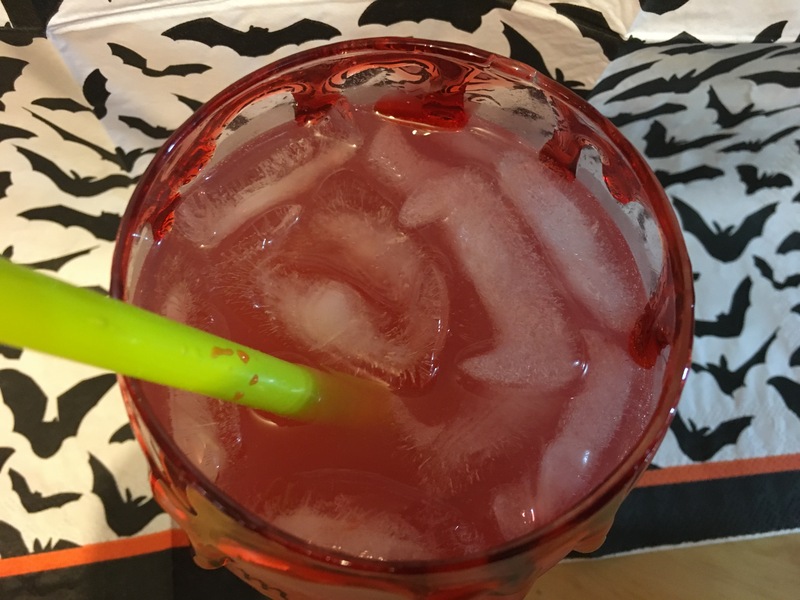 In order to utilize these cute little fangs, I had to come up with a drink recipe, but my first step was to test drive the new ice tray. Having used silicon bakeware before, I know the items usually pop out with no troubles. Using the tray to make ice however, proved to be slightly challenging. At first I tried popping out the icy fangs and they wouldn’t budge. I gave it a second go and kept the tray face up as I ran hot water over all the cubes. Success! With a little bending of the tray, I managed to get them all out and in one piece. It was hard to see the defined fang cubes from the front of the glass. To give you an idea of what they looked like, I took a photo from above. Ice cold fangs. The only disadvantage about making the vampire fang shaped cubes was they seem to melt quite fast. Picture: Erin Chapman. Now, for the actual recipe. I kept it simple, for a few reasons. I know not everyone has a well-stocked liquor cabinet and picking up different kinds of booze gets expensive, which means people are less likely to make the drink. Also, being busy, time was a factor for me too and I didn’t want to go to a couple different shops. First, fill the glass with the ice-cubes and add in two ounces of raspberry vodka. Squeeze in the lemon juice and top with the blood orange soda, depending on how strong you want the drink. Stir together. For the garnish of fresh blood, I took the easy way out; I picked up a candy blood bag from Dollarama. They don’t have their items posted online, but this link gives you an idea of what I used. Overall, I found the drink quite tasty. This vampiric treat is perfect for any Halloween party or you can make one to enjoy while you hand out candy to trick or treaters. Just no sharing with the kids! Mold: Fang Teeth Silicone Mold By Celebrate It®, http://www.michaels.com/fang-teeth-silicone-mold-by-celebrate-it/10520237.html. 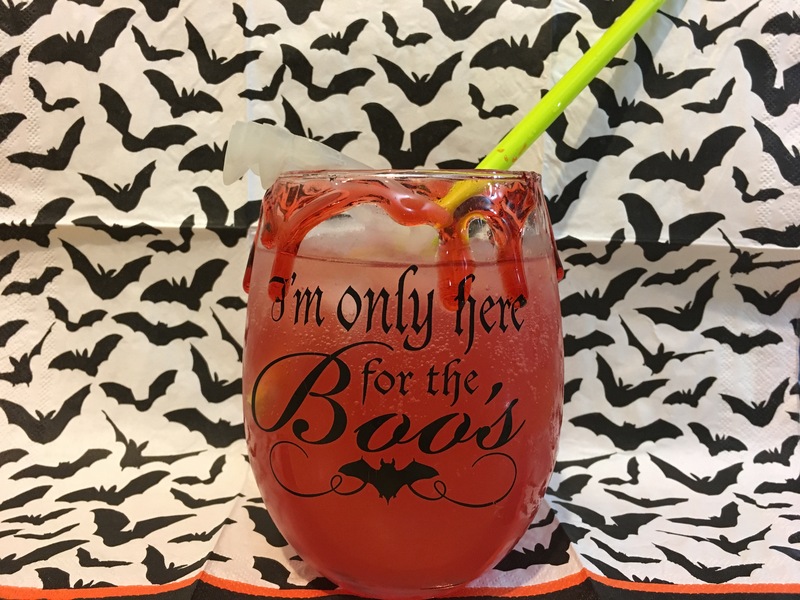 Glass: Stemless Halloween Wine Glass By Celebrate It™, http://www.michaels.com/stemless-halloween-wine-glass-by-celebrate-it/10519582.html. Michael’s: 1000 Main St, Ste A-1, West Vancouver, BC. http://locationsca.michaels.com/bc/west-vancouver/. Dollarama: 2002 Park Royal S Park Royal South, West Vancouver, BC. http://www.dollarama.com/.